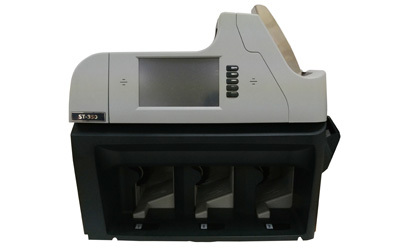 ST-350 Series: Hitachi Terminal Solutions Korea Co., Ltd.
ST-350 is a smart, practical multi-currency fitness sorter and banknote counter designed for users’ convenience. ST-350 is optimized for high performance, enhanced authentication and easy operation. Equipped with range of counterfeit detection technologies.